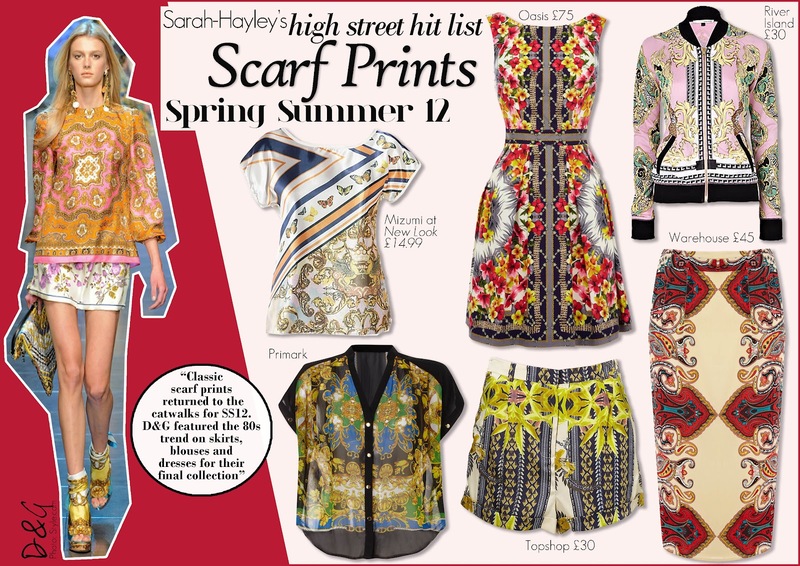 Although the April weather doesn't want us to skip into Summer, the high street is certainly tempting us! These glorious, on-trend, 80's referenced, scarf-print pieces are taken from my favourite high street stores, all priced under £100! I am a fan of this trend because it suits many occasions, for a night out you can glam up with a pair of towering platforms or add some cute ballet flats for work wear chic. Head to toe print or print on print layering, à la D&G's final collection, is not for the faint hearted but will give you the ultimate catwalk look.